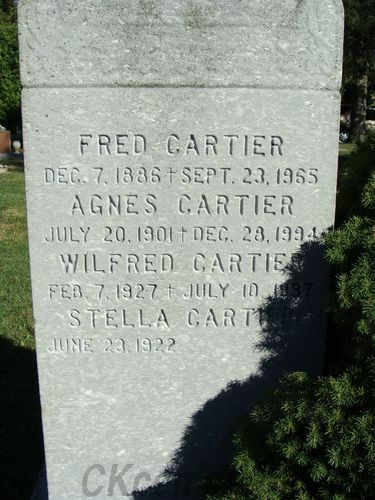 5/5/1864 - 9/8/1949, Aged 85 Yrs. 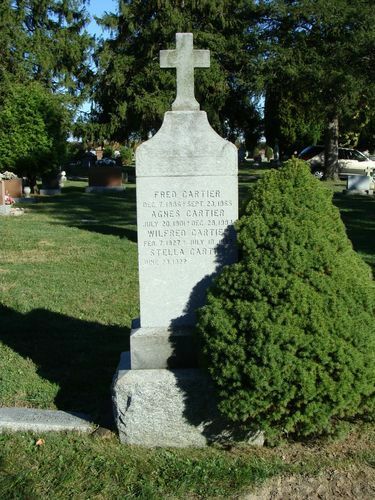 10/13/1862 - 9/6/1947, Aged 84 Yrs. 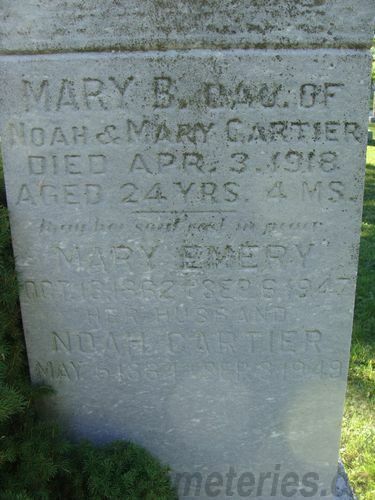 Died 4/3/1918, Aged 24 Yrs., 4 mos. 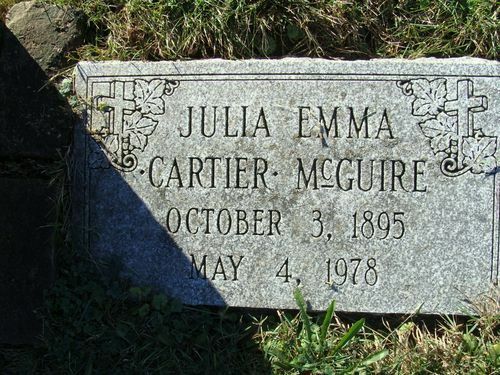 12/7/1886 - 9/23/1965, Aged 78 Yrs. 7/20/1901 - 12/28/1994, Aged 93 Yrs. 6/23/1922 - 12/10/2013, Aged 91 Yrs. 10/3/1895 - 5/4/1978, Aged 82 Yrs. 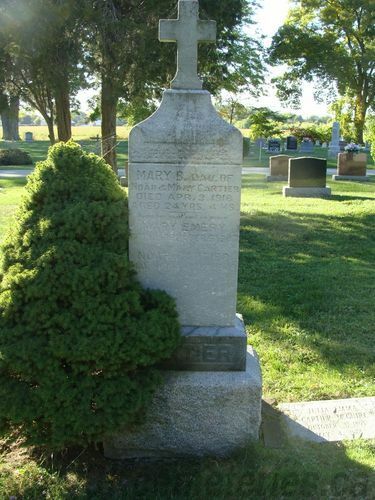 Several footstones are missing since 1983 census including, "Thomas", "Mary", Mary "Mother" & Noah "Father"
Unmarked; Thomas, Child of Henry, Herman J. & John Cartier, see index page.